The Turken has all of the Traditional Turducken appeal without the duck. Want to customize it a little more? 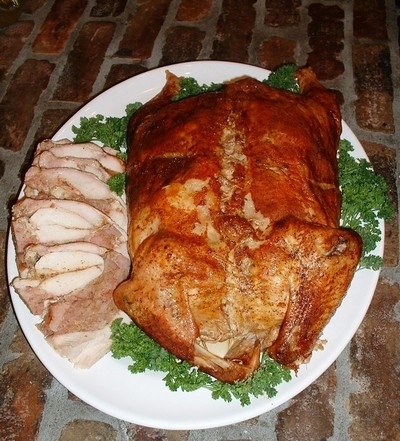 Try a custom turducken and select "turkey, chicken, chicken."